For my selection for this week’s blog, I decided to focus on a more serious movie and write my blog in a more serious tone. Growing up through grade school, I was taught about slavery several times through various history and english courses. However, year after year, I continued to fail to understand how slavery really worked. The concept was bizarre to me. One man owned another man? Not only did one man own the other man, but most of the time, they referred to slaves as “property” and would treat them horribly. 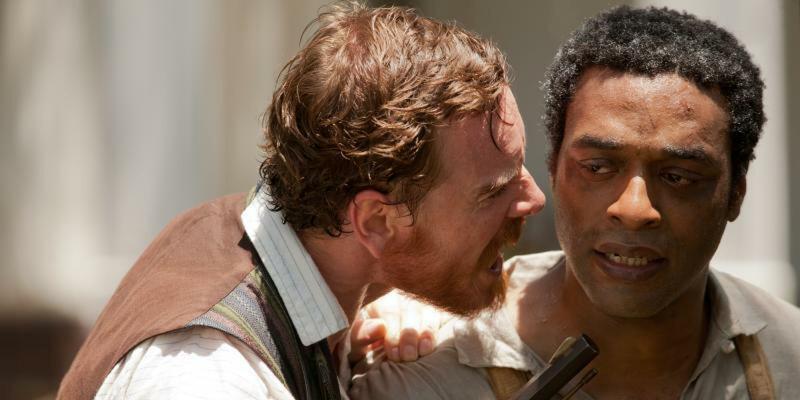 With my selection for today, 12 Years a Slave, starring Chiwetel Ejiofor, we are able to dive into the horrifying reality of slavery in our past. After watching this emotional movie, I was moved and even a little sick to my stomach. This movie alone has impacted and taught me so much and therefore, is one of my favorites. The movie takes place in the Pre-Civil War Era of the United States, as Solomon Northrup, a free black man living in New York, is successful and a well known man in his town. He has a family, a well paying job, a home, and even possesses the skill of being a remarkable violinist. Shortly after the movie begins, he is approached by two men, both being white, and they are enamored by how well Northrup can play the violin. They then go on to ask him if he would be willing to go on tour with them, as Northrup would make a grand amount of money. Northrup agrees but this was a decision that he will regret forever. The night he agrees and leaves with the two men, he gets drugged during dinner time and when he wakes up, he is stripped of his beautiful clothes, now wearing rags, and in chains in a dark dungeon. He realize he has been abducted and knows what will happen next, even though he is a free man. Northrup then gets sold into slavery and his perfect life has taken a completely different turn. Once enslaved, you can guess all that happens next. He works endless days, gets beaten, whipped, belittled, and gets fed and bathed little. This is the most impactful part and the duration of the movie. Watching this part made me sick to my stomach but it was necessary to watch at least once. 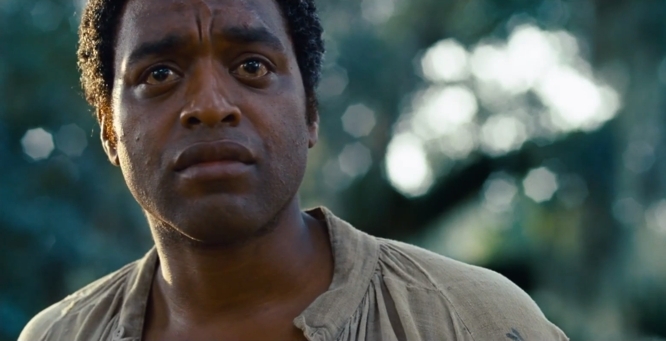 This movie is a very accurate representation of the history of slavery in our country. I would not recommend minors watching this, as even I as a teenager thought this movie was brutal. All of the whipping and beating scenes show everything from the whips, blood, and marks on body. However, if you are able to get through that, watch this at least once. We live in a time where unfortunately, racism still seems prevalent in our day and age. Yes, it is not the same as it was during the times of slavery, but equality is definitely not evident. This movie also makes one realize to never take what they have in life for granted, because like Solomon Northrup in this movie, your life can change in the blink of an eye. This was amazingly written and I like the tone you put into it. I’ve never actually seen this movie but I feel like if I have the opportunity to through Netflix or a redbox movie, I would most definitely see it to get the feel for what you’re expressing. It’s definitely important to know of this country’s history, regardless of if it’s pretty or not and it’s important to see how it would be possible to make society better by understanding the opposing point of view. I personally can’t stomach brutal movie scenes and rarely watch war or horror movies but I think I could brave it for an impacting movie like this one.